because I just love its beautiful and clean silhouette. 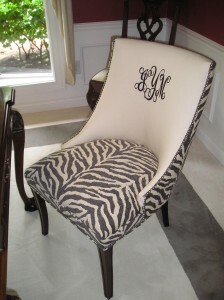 The hunt chair in a Zebra print married with a solid fabric monogrammed, it could be the perfect match to tie in with the contemporary charcoal and white carpet and at the same time add a little pizazz to the room. 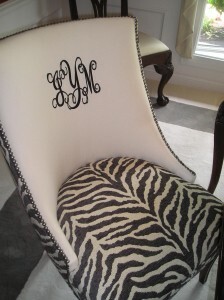 We used Candice Olson’s Zebra print fabric in charcoal by Kravet, we custom ordered the monogram for the inner back and we used the gunmetal nail trim to outline the details. The results? A classic family heirloom! 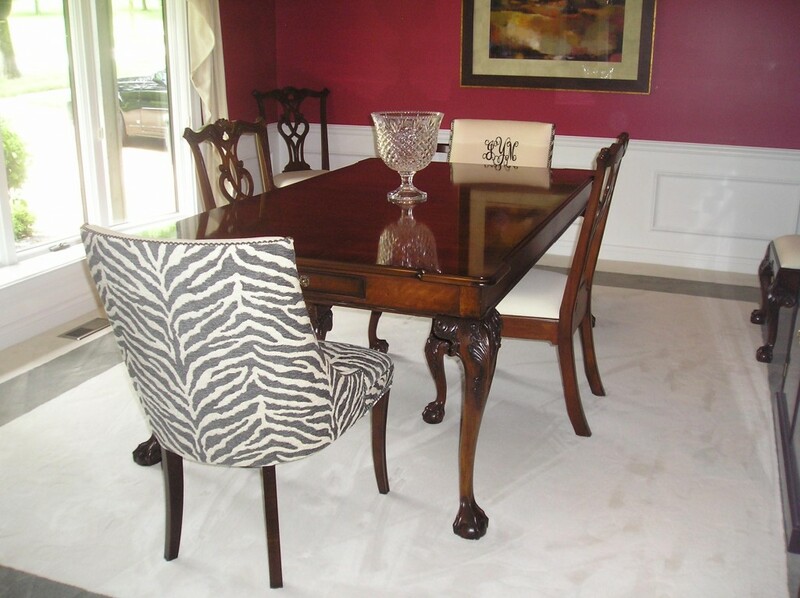 Love the way you have transformed really traditional pieces and architecture with modern pattern and color. You have a real talent to be able to think outside of the prescribed traditional box! Thank you for including the Hunt Chairs by Suzanne Kasler for Hickory Chair as a part of your very successful design aesthetic!